Afghan interpreters eligible for a special US visa thanks to their work for American troops in their home county spoke to RT about their fears and frustrations after the relocation program exceeded its yearly quota for 2017 in just three months. Since 2009, civilian specialists who have supported the US-led international coalition in Afghanistan have been offered a chance to move to the US as a gesture of gratitude, as well as to protect them from retribution. The quota for the Special Immigrant Visas (SIVs) has been increased by several thousand every year, but the FY2017 National Defense Authorization Act added only 1,500, and the program ran out its allotted visas less than halfway through the financial year. “After careful analysis of the SIV data, the Department determined that the number of SIV applicants in the final stage of the process is already sufficient to exhaust all remaining SIV numbers,” the US State Department told RT in an email. “We do not expect to resume scheduling appointments unless new SIV numbers are allocated by Congress,” it continued. An estimated 10,000 interpreters, or ‘terps’ as they are called in soldier slang, are in the process of obtaining an SIV, and the US embassy in Kabul says new applicants should not bother. “Some of the terps are left behind, still living in Afghanistan. And they don’t have a good life,” said Aminullah Tajik, one of Afghan interpreters seeking resettlement to the US. Tajik told RT that he used to accompany US Marines on walking patrols in the town of Marjah in Helmand Province, providing the Americans not only with interpreter services, but also insight into local culture. He says his application for an SIV was denied due to red tape, because the recommendation letter he had received failed to mention his direct supervisor, which Tajik says is because the person was involved in counterintelligence. Enayatullah Lodin also failed to get an SIV because of his recommendation letter. The document is supposed to verify that an applicant is a person of good character and would not pose a security risk if allowed into the US. “Three times I applied for an SIV, but my case was denied. [They wanted] a new recommendation letter from POC (private overseas contractor). But I didn’t have any new recommendation. I emailed to my POC several times, but they didn’t answer to me. That’s why this happened to me,” he told RT. “It’s not fair. They have to give equal rights to all interpreters, to all the people who served the US Army,” he added. Fawad Ghafory, who served with the International Security Assistance Force (ISAF) for five years, related roughly the same story, describing how some of his fellow interpreters had been left behind in a similar way. ‘Terps’ are perceived as collaborators by members of the Taliban and their supporters, and they may be killed or kidnapped in regions dominated by the militant movement. 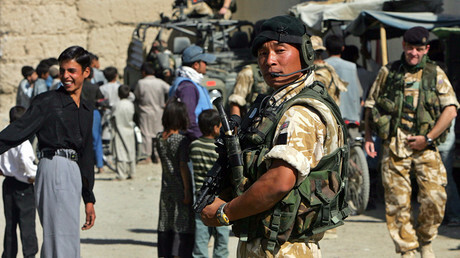 The Taliban routinely tries to identify Afghans working with the ISAF. If successful, they will then seek to recruit them or threaten them with violence. Aminullah Tajik personally had such experience during his stay in Marjah. While former employees may not be so interesting for militants as sources of intelligence, they can still serve as targets for retaliation. 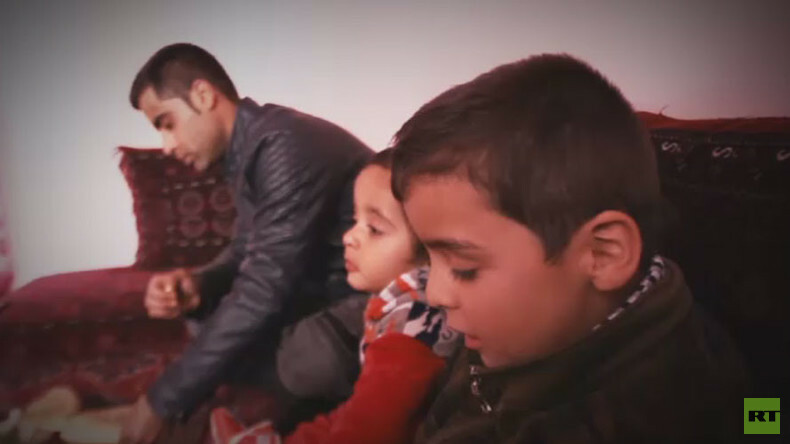 All three men said they were afraid for their lives and those of their families. They see the US as a place of safety. “In Afghanistan, we are not safe. Anybody working with the coalition forces has to go to the United States whether they want it or not, because in Afghanistan there is no security. The Taliban kill interpreters or anyone working with the coalition forces,” said Fawad Ghafory. Enayatullah Lodin said some interpreters unsuccessful in leaving Afghanistan through the SIV program risk their lives traveling to Europe via human traffickers, rather than stay.